Pallenberg was the mother to three of Keith Richards’ children Marlon, Angela (Dandelion) and Tara Jo Jo Gunne (who died 10 weeks after birth). Pallenberg sang background vocals on the Rolling Stones Sympathy for the Devil. She appeared in the 1968 Jean-Luc Godard documentary Sympathy for the Devil. She was also seen in the 2010 Stones’ doco Stones In Exile. Anita Pallenberg and Mick Jagger’s ex-Marianne Faithfull played the God and the Devil in Ab Fab’s fourth season episode Donkey. Anita also played The Great Tyrant, Black Queen of Sogo in the 1968 movie Barbarella. Barbarella also had a character called Durand Durand where Duran Duran took their name. Duran Duran use a scene from Barbarella featuring Pallenberg in their 1985 video Wild Boys. Keith Richards and Anita Pallenberg split in 1981. In his book ‘Life’ he claims Anita once also had a brief affair with Mick Jagger during the filming of the film ‘Performance’. 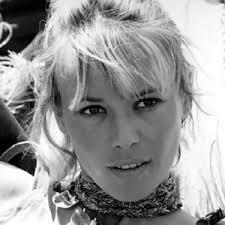 The cause of Anita Pallenberg’s death has not yet been announced. Thankfully, you posted a vintage photo, because, in one recent photo, she looked 100 years old, with a severely withered face and hands. The accelerated aging was likely caused by drugs.